This is your chance to have your artwork on the cover of this years Memory book! Get a white 8 ½ x 11 vertical piece of paper, leave an inch margin on the top and ½ in. margin on each side. Or use the template provided in the school office or linked here!. ​Benchmark reports are available online today at 6:00pm here! If you have any questions regarding absences, please contact the school office at 662-7958. Questions regarding grades should be directed to your child's teacher. Student Council Announces School Spirit Days! Student Council sponsors "Spirit Days" in order to promote greater school spirit. Students are encouraged to wear their Timbertail apparel or the school colors (red, white, black, and gray) on Timbertail Day and to dress to a specific theme on special theme days. Watch for opportunities to purchase Timbertail apparel from the PTO! All Forest Glen students will be participating in the event during their physical education classes. Read all about it here! Conferences are scheduled using the online system TEESO. The registration window is open February 12 through midnight February 18. Parents schedule a 10-15 minute time slot with their classroom and special education, ELL and/or speech teacher(s) if applicable. Other staff members are also available for a separate 15 minute time slot if desired. Click here for instructions on how to schedule! If your child works with an English Language Learner teacher, Speech teacher or Special Education teacher, please click here for additional instructions.If you do not have internet access to schedule, please contact the school office at 662-7958. All parents are strongly encouraged to attend a conference with their child's teacher. The Grand Event is back on Wednesday, February 21 from 7:30am-8:45am in the gym. Students can bring grandparent(s) or that special someone to the event! Complimentary beverages provided! PTO is using SignUp.com (the leading online SignUp and reminder tool) to organize our upcoming SignUps. ​Please join us for the next PTO meeting on Tuesday, February 6 at 6:30pm in the Library. The Board of Education unanimously approved a resolution on an operational referendum for the April 3, 2018 spring election ballot. This referendum differs from the April, 2017 referendum, in large part, because of the duration. The Board listened to the community through surveys and the Community Task Force Committee. The feedback was clear that the recurring nature of the April, 2017 referendum was not acceptable. 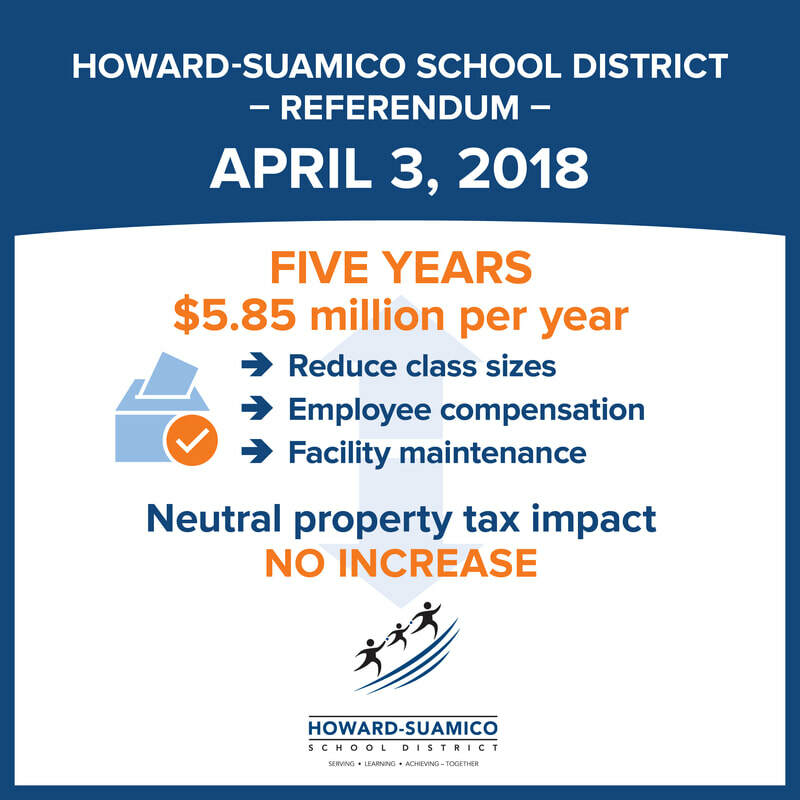 The 5 year duration on the current referendum allows the district to address the immediate needs of class size, compensation, and facilities maintenance. As the Board works to address its financial challenges, we are committed to providing as much information as possible. For more information about the referendum, please visit www.hssd.k12.wi.us/referendum. If you have any questions for the Board of Education, please reach out to your board member listed in this article. Sting Cancer Carnival for a Cure Event - Friday, February 9, 2018 5:00pm-7:00pm before Bay Port vs.Preble boys' basketball game.